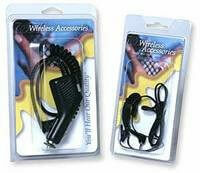 Cellular accessory item for display concept only. High quality clamshells are designed specifically for items such as phones, cases, chargers, head sets, skins, batteries, and faceplates. Crystal clear and tough, the clamshells close easily and stay shut. Your product receives maximum visual appeal and protection. *Note: Accessory item is not included. Looking for graphics, header cards, inserts or blister cards for your new package? VisiPak is proud to work with trusted partners like Printing and Packaging, Inc. to ensure our customers get a complete package solution. 201TF 7.563" 3.500" 6.375" 2.437" 1.000" 6.438" 3.079" .015"
204TF 7.563" 3.500" 4.875" 2.375" 1.000" 6.438" 3.079" .015"
206TF 7.563" 3.500" 5.000" 2.750" 1.312" 6.438" 3.079" .020"
208TF 7.563" 3.500" 4.020" 2.209" 1.101" 6.438" 3.079" .015"
210TF 7.563" 3.500" 2.935" 2.338" 1.055" 6.438" 3.079" .015"
213TF 7.563" 3.500" 4.102" 2.142" 0.249" 6.438" 3.079" .015"
261TF 8.000" 3.500" 6.250" 2.625" 1.250" 6.875" 3.062" .015"
262TF 8.000" 3.500" 5.648" 2.748" 1.000" 6.875" 3.062" .015"
293TF 8.937" 4.219" 6.520" 3.356" .0398" 8.000" 3.937" .015"
294TF 8.937" 4.219" 6.520" 3.356" .0398" 8.000" 3.937" .015"
375TF 9.687" 3.500" 4.937" 2.875" 1.000" 8.500" 3.062" .015"
376TF 9.687" 3.500" 4.937" 2.875" 1.312" 8.500" 3.062" .015"
377TF 9.687" 3.500" 6.937" 2.875" 1.625" 8.500" 3.062" .0175"
391TF (S) 8.375" 3.812" 5.400" 2.780" 1.560" 7.890" 3.250" .020"
392TF (S) 8.375" 3.812" 5.439" 3.166" 1.700" 7.890" 3.250" .020"
393TF 8.375" 3.812" 4.821" 2.751" 0.807" 7.890" 3.250" .015"
394TF 8.375" 3.812" 5.542" 3.141" 0.856" 7.890" 3.250" .015"
395TF 8.375" 3.812" 5.542" 3.141" 0.856" 7.890" 3.250" .015"
401TF 8.125" 5.000" 6.000" 2.562" 1.312" 7.125" 4.375" .020"
402TF 8.125" 5.000" 6.000" 2.562" 2.000" 7.125" 4.375" 0.020"
403TF 8.125" 5.000" 6.700" 4.075" 1.300" 7.125" 4.375" .020"
405TF 8.125" 5.000" 5.062" 3.375" 1.687" 7.125" 4.375" .015"
406TF (S) 8.125" 5.000" 6.700" 4.075" 2.900" 7.125" 4.375" 0.020"
408TF 8.125" 5.000" 5.812" 3.375" 0.625" 7.125" 4.375" .020"
410TF (S) 8.125" 5.000" 6.187" 3.750" 2.250" 7.125" 4.375" 0.020"
411TF 8.125" 5.000" 6.312" 3.812" 0.625" 7.125" 4.375" 0.015"
412TF 8.125" 5.000" 4.437" 2.562" 1.312" 7.125" 4.375" 0.020"
413TF 8.125" 5.000" 4.062" 1.937" 0.500" 7.125" 4.375" 0.15"
414TF 8.125" 5.000" 4.875" 3.000" 0.957" 7.125" 4.375" .015"
423TF 8.125" 5.000" 5.817" 3.895" 0.796" 7.125" 4.375" 0.015"
424TF 8.125" 5.000" 5.817" 3.895" 0.796" 7.125" 4.375" 0.015"
801TF 5.562" 6.000" 3.562" 4.562" 1.000" 4.460" 5.460" 0.015"
802TF 5.562" 6.000" 3.437" 4.437" 1.500" 4.460" 5.460" 0.015"
803TF (S) 5.562" 6.000" 3.437" 4.437" 2.500" 4.460" 5.460" 0.015"
(S) Designates the clamshell can stand on its base as well as hang from peg hooks.